Last week we overwhelmed you all with one of the most recent events we had the pleasure of photographing. Since it was indeed a Quince and a Sweet Sixteen celebration, we have now the Sweetest Sixteen you'll ever want to meet. We just felt it was right to let you all take in each of their beautiful faces seperately as I feel together, would just be too overwhelming. 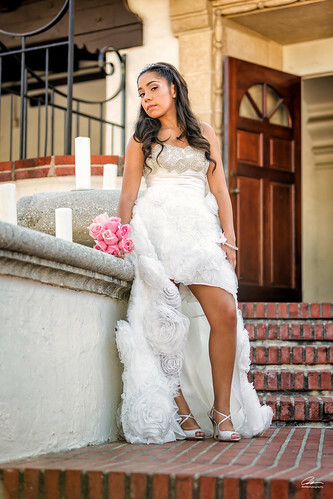 Here is to Priscilla, it was our true pleasure photographing you, your sister and your family. Camera and Lens: Canon 5D MkIII with a 70-200 f2.8L IS set at 1/1000, f/2.8, ISO 400, 75mm.